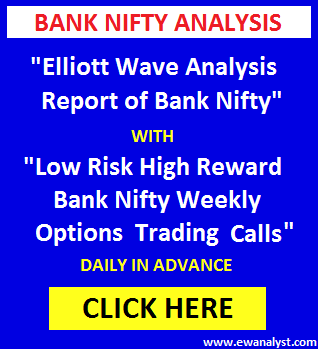 Bank Nifty opened higher at 26205, bounced further to registered day’s high 26332 but declined back again to register day’s low 26122 and finally closed 90 points up at 26245. 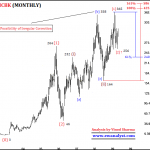 Friday, there was possibility of a small or big correction very soon. 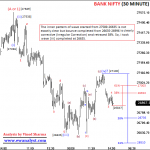 A minimum 600-900 points correction was expected without breaking higher above 26389. Otherwise, 26011 was the immediate breakeven point on downside and any further fall was expected after breaking below 26011. Trading strategy was to buy any suitable Put of 22nd Nov expiry [which is trading around 60] if Bank Nifty gets in 26250-26389 range using stoploss of 26411 expecting decline towards 25492-25057 in coming days. 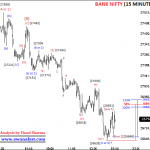 Bank Nifty entered in 26250-26389 range and 25800 Put of 22nd Nov expiry was trading in 60-67 at that time which bounced till 108 and finally closed at 75. Now, we need to analyze fresh charts to calculate further move. The bounce from 24240-25915 looks like (abc) move and the decline from 25915-24353 is also looks like (abc) but next bounce from 24353-26332 seems impulsive. So, let’s analyze last bounce started from low 24353 on separate lowest time frame chart to check if wave (impulse) started from low 24353 is completed or still in progress. 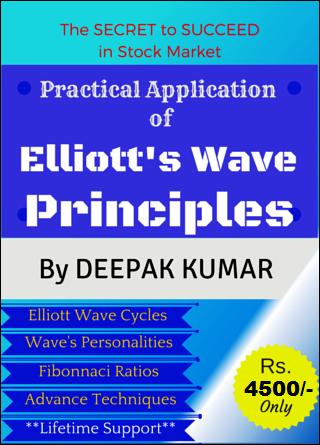 It seems wave (1) may be completed from 24353-25121, (2) may be completed from 25121-24528, wave (3) may be completed at 25907, wave (4) may be completed from 25907-25384 and wave (5) may be completed at 26332 or still in progress. 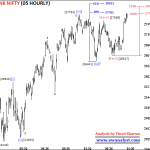 Wave (5) achieved minimum 38% projection placed at 25977 and next 61%-100% projection is placed at 26344-26938 which may or may not be achieved. 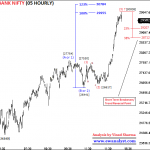 Bank Nifty achieved 26332 till now. 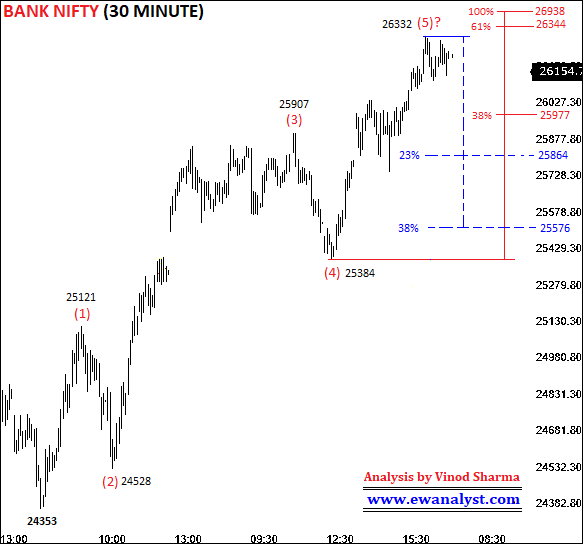 23%-38% retracement of progress of this impulse [24353-26332] is placed at 25864-25576. 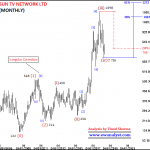 So, we can expect minimum 450-750 points decline after completion of wave (5). Now, we need to analyze the progress of wave (5) started from low 25384 on separate lowest time frame chart to check if it is completed or still in progress. 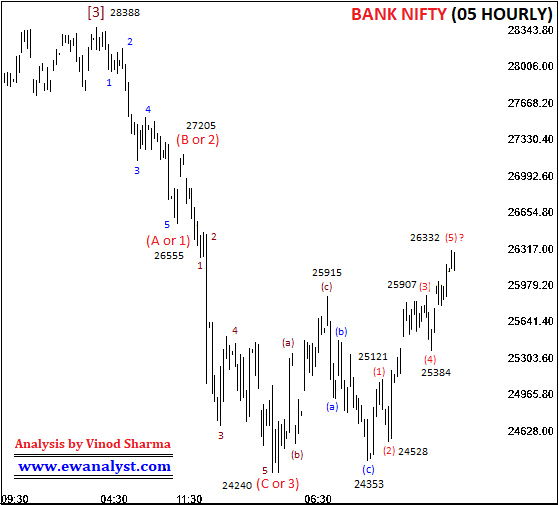 It seems wave completed at 25574 may be wave , wave completed at 25497 may be wave , wave completed at 26045 may be wave , wave completed from 26045-25728 may be wave  and wave  may be completed at 26332 or still in progress. Wave  achieved 38%-61% projection after breaking above 26136 and next 100% projection is placed at 26389 which is a rare case. Wave  rarely project more than 100%. There is no change in outlook, an impulse started from 24353 is already completed from 24353-26332 or very near to completion, so there is possibility of a small or big correction very soon. 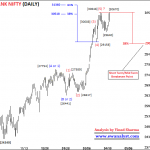 Expected correction can be of 450-750 points and correction can start without breaking higher above 26389. 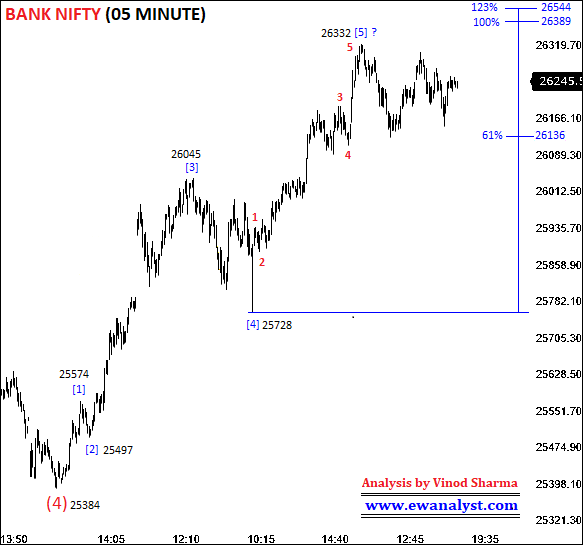 Bank Nifty needs to break sharply above 26389 to continue further upside and we need to check the pattern again if it breaks higher above 26389. The bounce started from 24353 seems impulsive which achieved all its minimum requirements so there is possibility of some correction soon. So, we must avoid buying for time beings and need to concentrate on selling whenever get opportunity. 1. Those who bought Bank Nifty 25800 Put of 22nd Nov expiry today in 26250-26332 range (Put was trading in 60-67 range) and still holding then same can be hold using exact stop loss of 26431 (some point above 26389) expecting decline towards 25864-25576 in coming days. 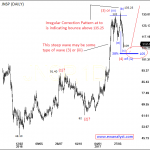 This trade bounced from 60-67 to 108 and was giving 40-42 points profit. 2. Fresh Put can also be bought on rise [above 26250] using same stoploss of 26431 expecting same targets. Buying put which is trading around 60 and trail stoploss whenever seeing reasonable profit.